Elbrus Climb via the South Route is the best option for those who don’t have a good previous experience of climbing at high altitudes. South Route is not very technical but still gives the climber very high altitude exposure. It is also the shortest way to the summit. South Route gives you deep interaction with local Caucasian culture, people and local cuisine, and only when climbing Elbrus from the South, you see the mind-blowing panorama of the Great Caucasus Range during the entire climb. Climbing Elbrus from the South you get comfort, which includes the ability to use a cable car from the foot of the mountain straight up to our High Camp lodge at 3850 meters, and the ability to use a snowcat and snowmobiles up to 5100 meters on the summit day. In the high camp, we stay at the comfortable fully heated and fully electric mountain lodge with electricity for 24 hours, big panoramic windows, downstairs bar with local beer, and first-floor restaurant with flatscreen TVs, and intermittent WiFi. The North Route of Elbrus is the route of the first ascenders and a great option for climbing Elbrus if you are a trained climber with good previous experience of climbing at high altitudes looking for a challenge and more athletic style of climbing. 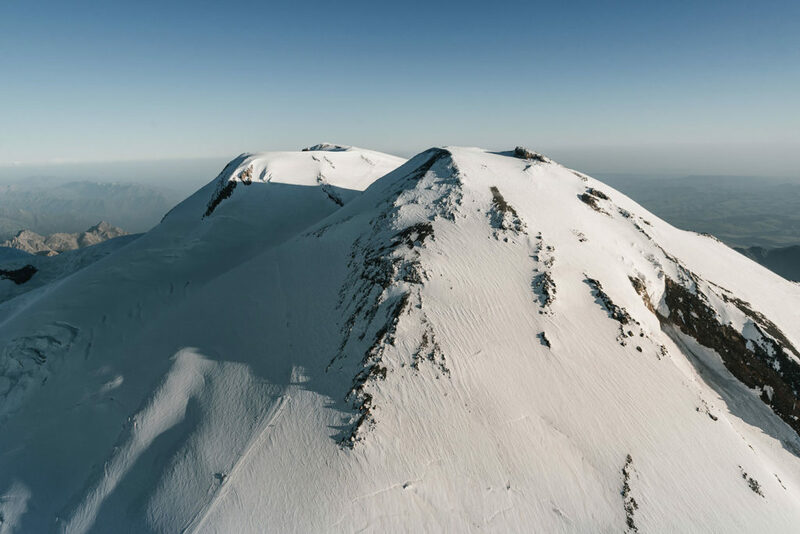 Climbing Elbrus via the North Route you walk the whole distance from the very foot of the mountain up to the Western Summit – 5642 m. There are no snowcats, snowmobiles, cable cars, restaurants, and permanent electricity. There is also no cell phone connection on the route. The North side of Elbrus is remote and you are far away from civilization. The Camps are very basic, and you get basic accommodation at the mountain shelters and ordinary mountaineering food. However, we have a shower in the Base Camp for your best relaxing experience after the climb and porters are also available for a small fee. It is a truly unforgettable experience, but good physical training and previous experience are required. 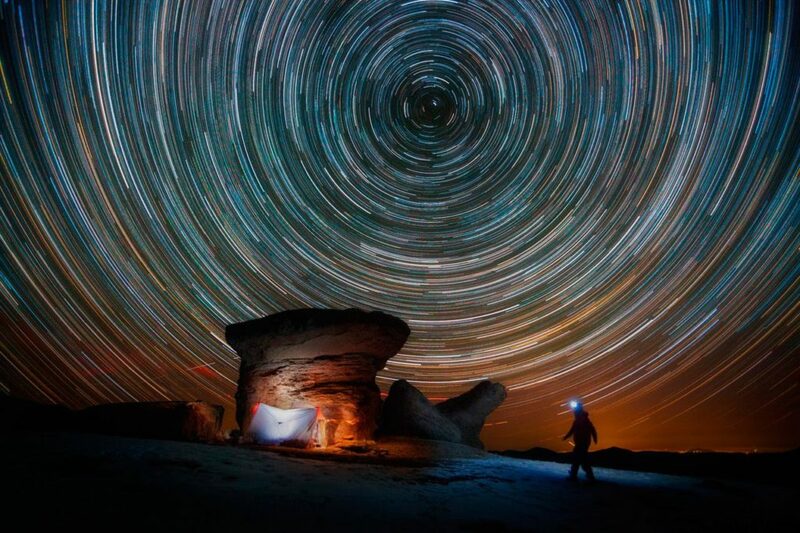 The Traverse Route is all about experiencing the highlights of both routes. In 9 days, we traverse Elbrus from South to North and climb the Western Summit. 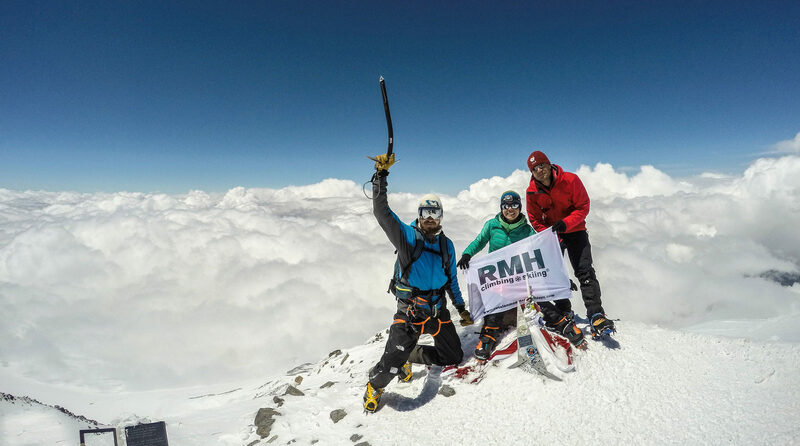 Climbing Elbrus via the Traverse Route is a unique opportunity to explore both sides of Mount Elbrus in one trip. You get a truly authentic cultural experience on the South Side with all the benefits of civilization and a touch of the wild on the North. 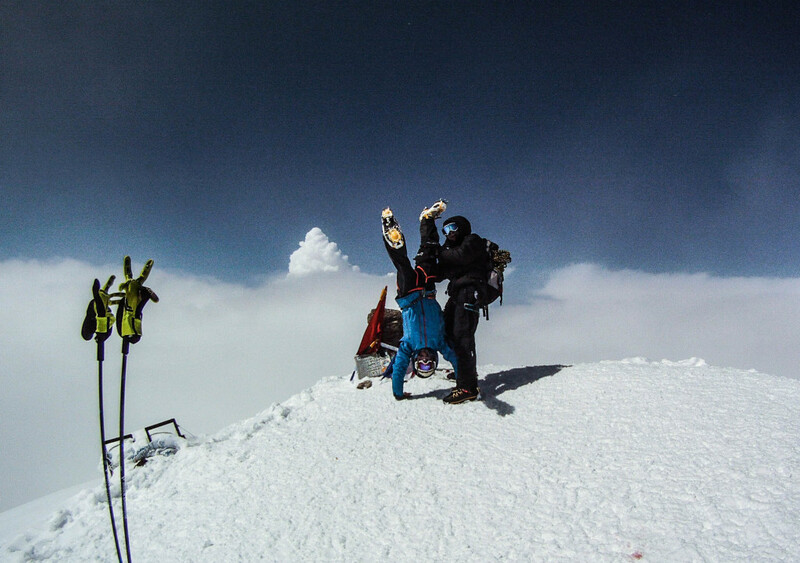 Ski-tour ascent to Mt. 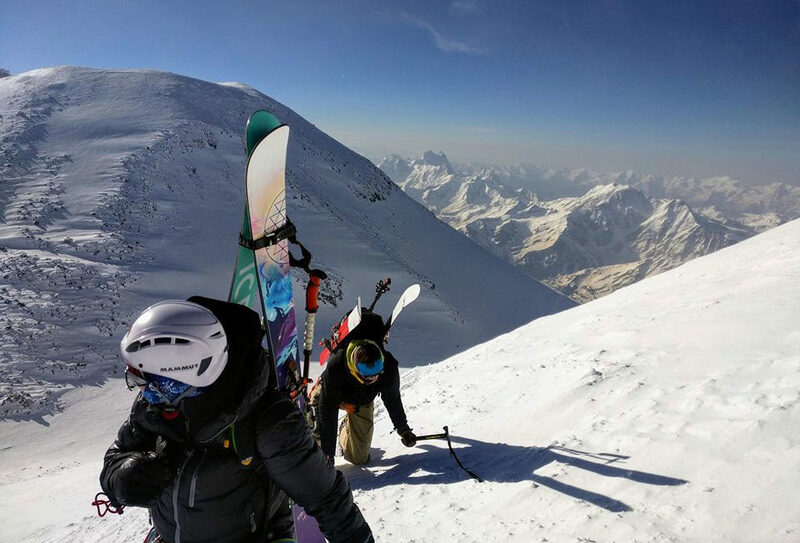 Elbrus is an advanced climbing format for experienced freeskiers who want to discover new horizons of big mountain ski mountaineering. 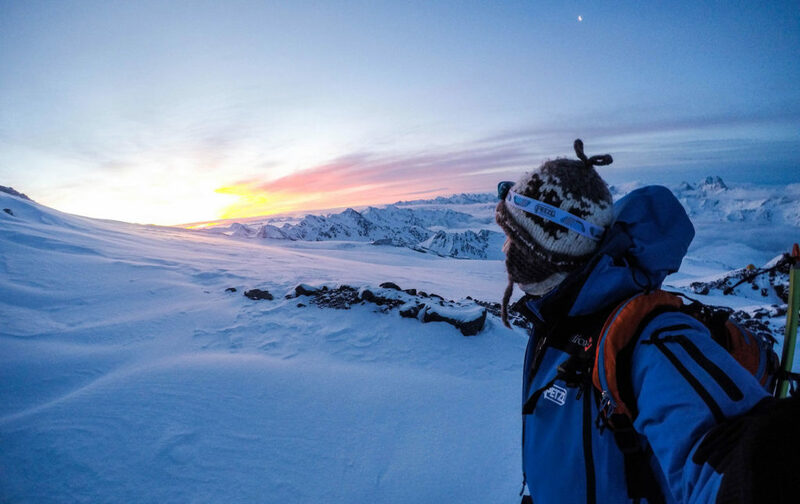 The trip program itself is the same with the South Route climb, however, the Summit Day is usually shorter compared to the normal climbing without skis as we ski all the way down from the summit. Skiing from the very top of Europe and one of the biggest volcanoes on the planet is what makes this trip a truly unique once in a lifetime experience. The best time of the year to ski-tour Elbrus is May and the first half of June. During this period the snow conditions are usually good enough to ski-tour Elbrus all the way up to the summit and ski all the way back down. Unlike other expedition companies, we offer customizable private Elbrus climbing tours for your requirements and your ability level. However, usually we are fully booked for the entire season by February each year, and during the peak season we may not have enough guides, so advanced booking is required for private climbs. Please, feel free to contact us by email, phone call, or WhatsApp and we will be happy to help you plan your perfect trip to climb Elbrus. Due to the unstable currency market, the exchange rate may vary slightly. To accurately check the price in USD, use the Currency Converter. 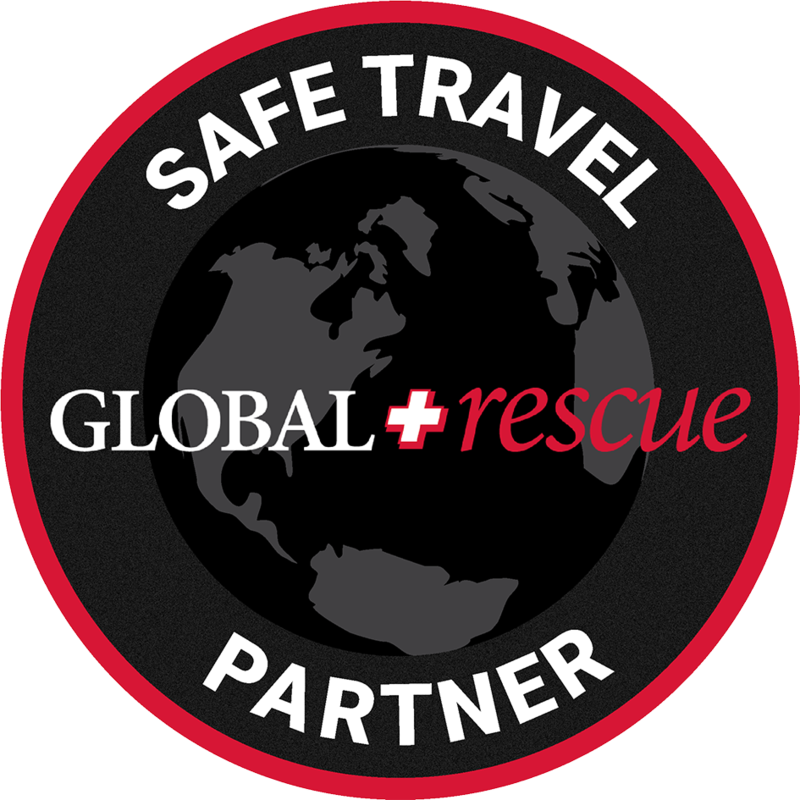 We have over 65 years of Elbrus guiding experience with a 100% Safety Rate.